There is not any urgent news at this time. 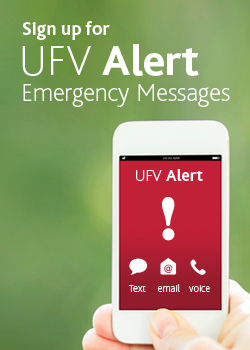 Sign up with UFV Alert to receive important information on your phone during weather events or emergencies. Check UFV.ca for updates during emergencies or weather events.